We couldn’t be more excited that Thanksgiving is almost here! It’s a great time to catch up with family members from out-of-town and bond while watching football or classic holiday films. And really, there’s just nothing like gathering your loved ones around to enjoy a hearty home-cooked feast. 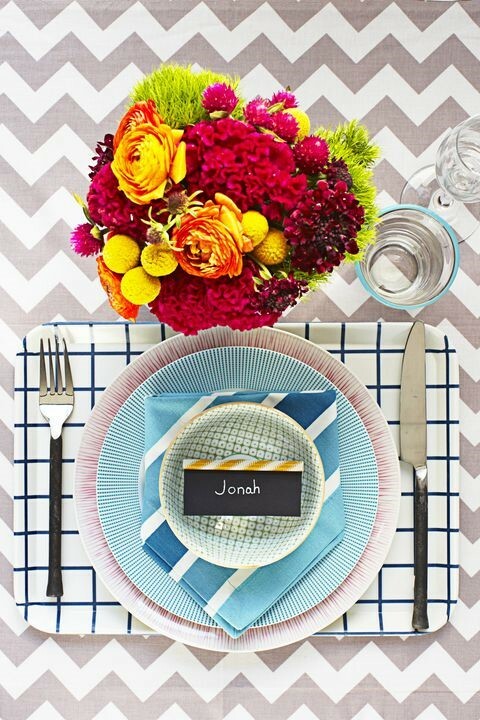 While the food is the main focus, a thoughtfully-decorated table makes your guests feel extra special. 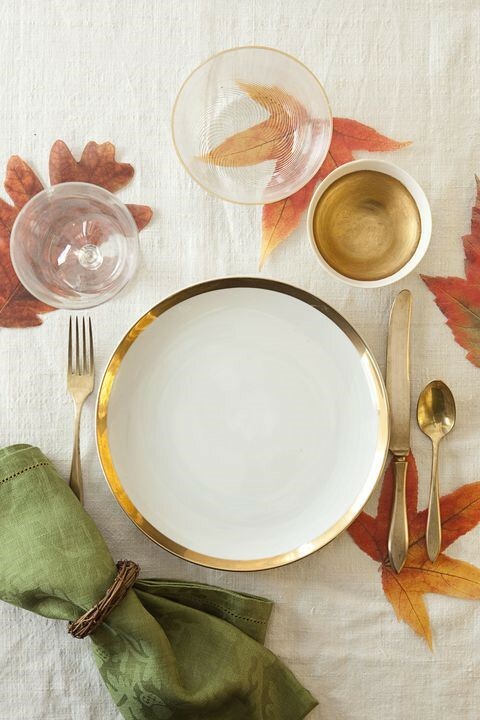 Here are a few ideas to help you plan your perfect Thanksgiving table setting. 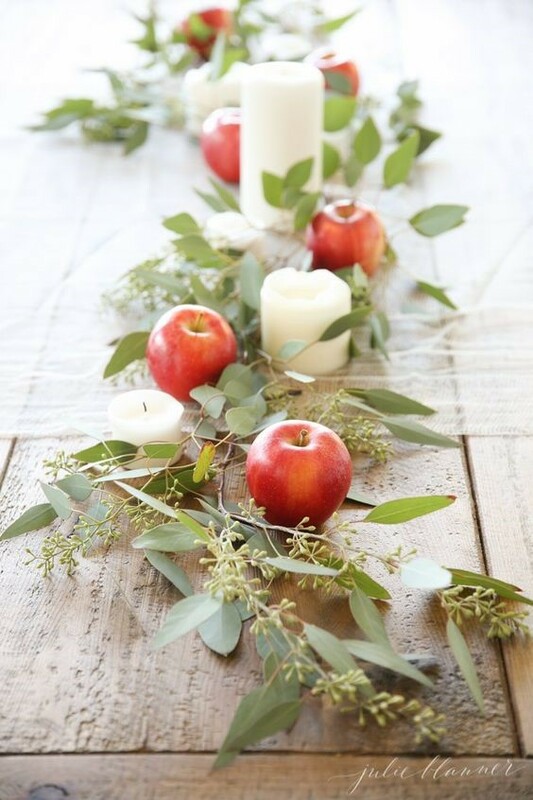 There are so many ways to give your table a rustic, natural look. 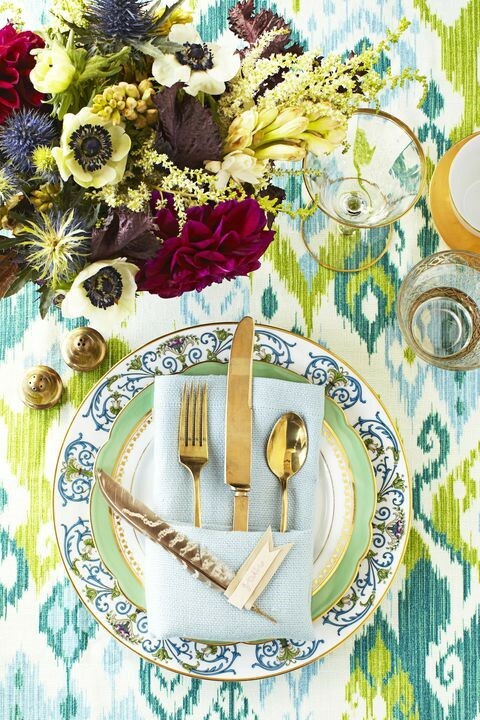 A burlap tablerunner or tablecloth makes a nice backdrop for earthy elements. For simply beautiful centerpieces on a budget, try using seasonal produce such as pumpkins, apples, cranberries or squash. 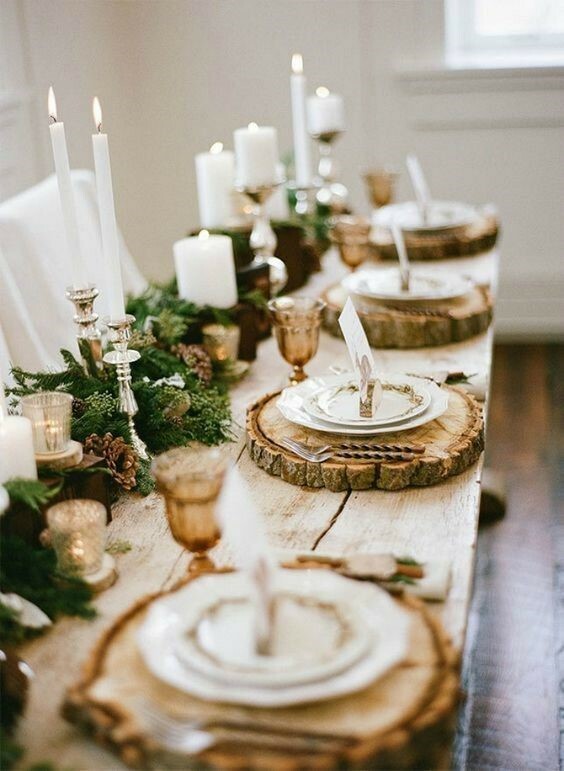 Spruce up each place setting with scattered leaves or use beautiful wood planks as an alternative to placemats. Who says you have to go traditional for Thanksgiving? Have some fun with vibrant prints, bright flowers and pattern mixing! 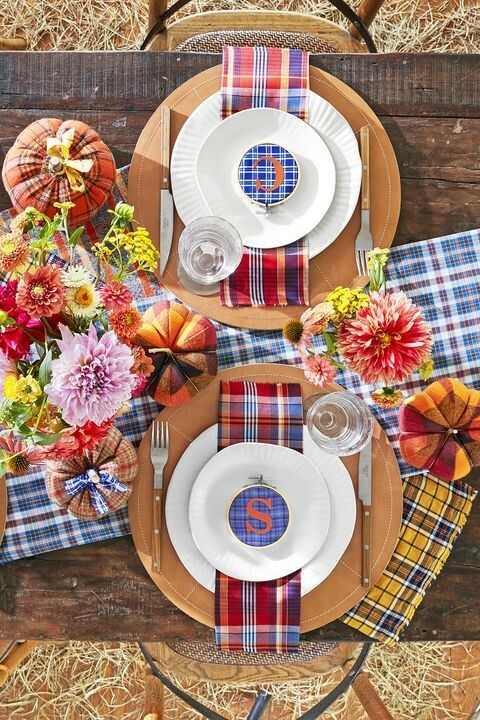 Add a little more flair to a fall theme by mixing different plaids for placemats and napkins. 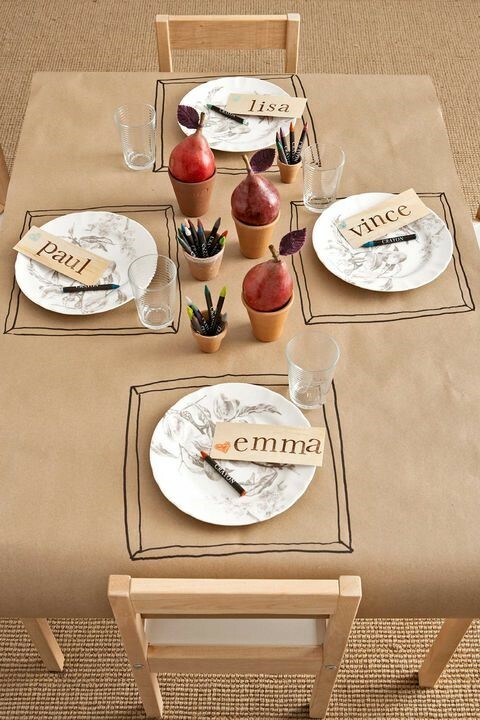 Get Crafty with the Kids’ Table! Getting kids to sit still and eat can be a challenge. 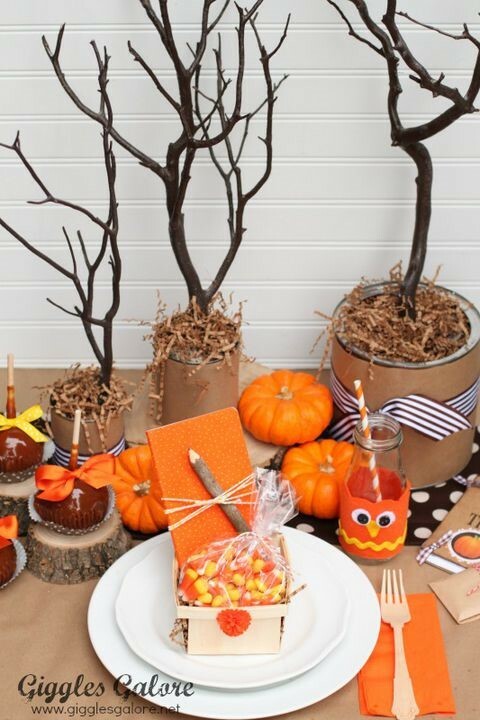 Keep the little ones entertained by adding some fun goodies and activities to their table. 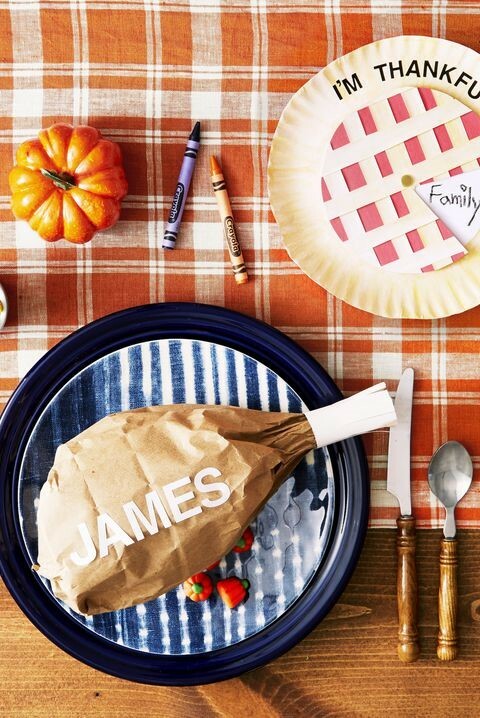 Try skipping the tablecloth and using kraft paper instead! Just put out some crayons and let them scribble away while they pick at their plates. Adding sweet treats makes the meal more fun, too. Try making these super cute paper turkey legs and fill them with popcorn or candy. Next Post Deck the Halls with LED Lights!